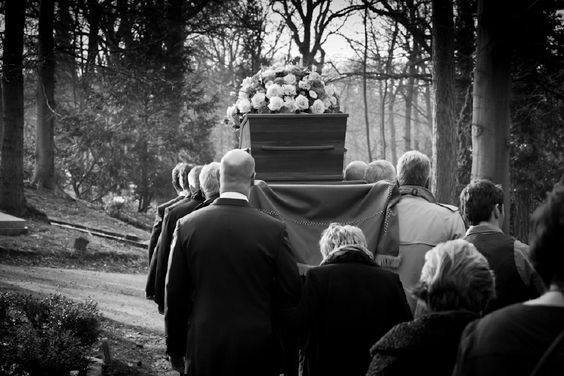 Why Seek Support from a Professional Funeral Director? In Australia, many choose to seek support from a reliable funeral director when a death has occurred. Most of the time, death comes unannounced. Such is the nature of death. At such times of shock, you may find yourself unable to function, and so, you look for help to get things organized for the funeral. As you already know, a funeral director is one who will get everything organized for the funeral ceremony within a very short time. The reason you seek their support for this is because they have all of the needs covered, their timely service, and their quality. When you say, ‘have things covered’, it would basically mean every little part in the funeral ceremony. They’d start off with printing off notices and for this; you’d need to give them accurate details. They’d make sure your friends and family are notified clearly and in time. When it comes to the ceremony, there’s music, funeral flowers, and seating, which will all be done by them the right way. They’d also handle matters related to the corpse – cleansing, embalming and clothing, and then preparing the coffin. The funeral directors will also arrange for mourners, priests, and the funeral vehicle, and everything else needed all the way until the burial is done in a peaceful manner. However, they don’t finish with matters after the burial. Upon your request, they’d offer their empathetic services post the funeral activities, too. Coming to terms with the loss and the overwhelming grief is indeed one of the most difficult things to do. If you are someone with a strong mind and spiritually wise, you may be able to bring yourself together. But, on the other hand, there are others who can be highly emotional and extremely sensitive. This is the type that may struggle to digest the fact that they’ve lost someone. For some, it could even become impossible to get a grip on their emotions. A sudden shock may lead to a major trauma, throwing them into a state of psychological depression. This is always a serious case when it comes to most funerals, and that is the reason most funeral directors offer special services for mental support that include effective communication, counseling and coping strategies. This has become a key part of their services recently owing to the increasing need for instant mental support, and the increasing cases of depression and mental conditions that are caused by deaths of loved ones. Therefore, in case you didn’t know, your funeral director isn’t only going to do planning and arranging a funeral ceremony but support you in many other ways to make sure you and your family aren’t profoundly affected by the event of a loss. At a time of grief and shock, you may sometimes become completely unable to focus and take care of what is to come. The occurrence of a death is definitely a disturbing event, and that is why you need reliable, professional support who will empathize with you and assist you in getting important matters sorted.